The net profit of private joint-stock company AVK confectionary factory (Dnipro), the large confectionary producer in Ukraine, fell to UAH 42,000 in 2018 from UAH 330,000 in 2017. According to a company’s announcement in the information disclosure system of the National Commission for Securities and the Stock Market on holding the general meeting of shareholders on April 26, its assets last year fell by 1.2%, to UAH 565.72 million. The retained earnings grew by 6.1%, to UAH 110.97 million. Current liabilities fell by 2.3%, to UAH 311.38 million, and total receivables decreased 6.25, to UAH 307.34 million. The company plans to send its net profit for 2018 to replenish working capital to cover losses for the previous periods. AVK group of companies was founded in 1991. Now it produces goods at a confectionery factory in Dnipro. It also owned factories in Donetsk and Luhansk, control over which was lost. 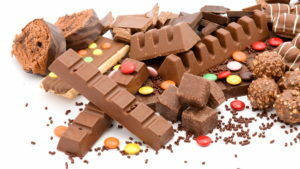 One of the largest confectionary producers in Ukraine AVK Confectionary has supplied first 50 tonnes of its products to Malaysia, the company’s press service has reported. 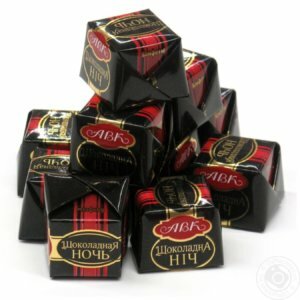 “AVK is one of the first Ukrainian confectionery companies that supplied chocolate products to the Malaysian market. We have already carried out the first three deliveries of sweets and are working on the next orders,” Deputy Director General for Strategic Development of the company Andriy Radchuk said in the message. The company plans to develop this direction, gradually increasing its sales volumes. As reported, AVK group of companies was founded in 1991. Now its produces goods at a confectionery factory in Dnipro. It also owned factories in Donetsk and Luhansk, control over which was lost.